This workshop is a little different in that you don’t need to bring your sewing machine (unless you want to) and there isn’t a project you need to finish. 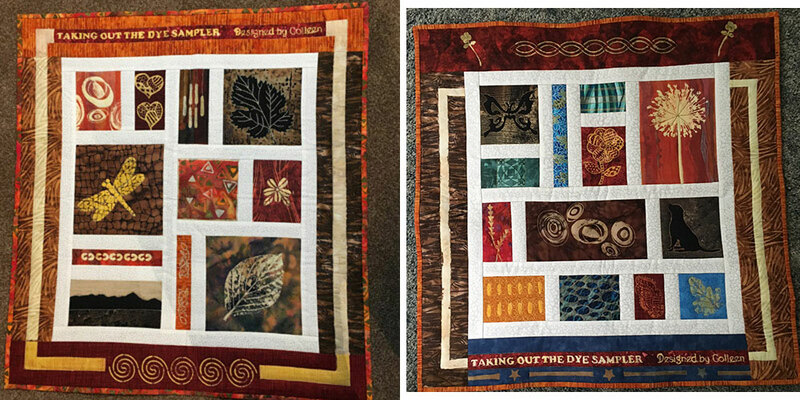 Colleen starts with a little show and tell of quilts she has made using DeColourant in the design process. She then teaches a variety of techniques for using DeColourant on fabric and demonstrates how to use all the different tools she has acquired. Then she lets you play with her toys and gives you any assistance you might need or want for the rest of the workshop. Colleen provides all the DeColourant you need during the workshop, and sends you home with a small container at the end.